Each June, the art world congregates in the Swiss city of Basel for Art Basel, and its satellite fairs Design Miami, Liste, Volta, and Scope. While the booths will be the main draw next week, there is also plenty to see beyond the fairs with a rich array of exciting exhibitions on view at Basel’s world-famous museums. The Museum Network takes a peek at what not to miss. 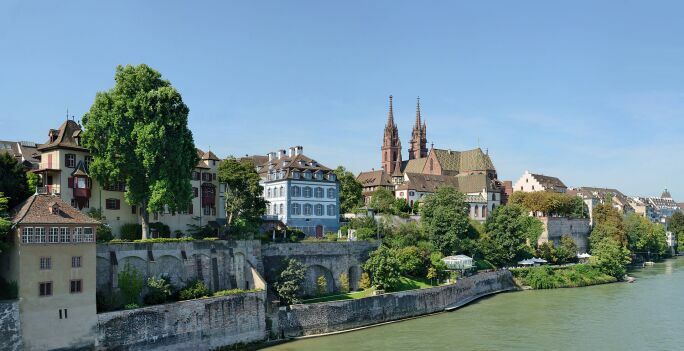 One of the most renowned cultural institutions in Europe, Kunstmuseum Basel houses the most comprehensive collection of public art in Switzerland. The collection includes 4,000 paintings, sculptures, installations, and videos along with 300 drawings and prints spanning seven centuries. One of the main focuses of the collection is paintings and drawings by artists active in Northern Europe between 1400 and 1600. For example, the Kunstmuseum possesses the largest collection of works by the Holbein family as well as masterpieces by Lucas Cranach the Elder and Matthias Grünewald. Most of these works originally belonged to Basel lawyer Basilius Amerbach and were purchased by the city in 1661 to form the foundation of the world’s first public municipal museum. Still, there's something for the more modern-inclined; the museum also possesses an impressive collection of 19th and 20th century art with a particular focus on Cubism. Highlights include works by Bracques, Leger, and Picasso. 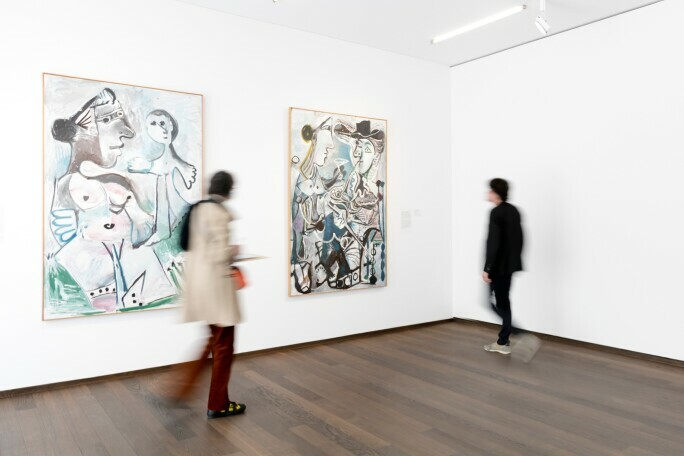 This summer, the Kunstmuseum Basel highlights their holdings of Picasso with the exhibition, Art, Money, Museum: The Picasso Story, 50 Years Later. The story of the acquisition of the Kunstmuseum’s Picasso’s has become legendary. Fifty years ago, two great works by Picasso, The Two Brothers, 1906, and Seated Harlequin, 1923, were on loan to the institution. When it was rumored the owner might sell, the citizens of the city voted to buy them with a mix of public funds and money raised at a gala called the “Beggars’ Festival.” Upon hearing this, Picasso gave four more paintings to the museum. When they arrived, the museum hung out a banner proclaiming “The Picasso's Are Here!” The exhibition celebrates the 50th anniversary of the acquisition of these cherished paintings by highlighting the individuals who made it possible. The Kunstmuseum Basel was reopened in 2016 after a refurbishment and expansion by renowned Basel based architecture firm Christ + Gantenbein. The museum now presents art in three different venues: Kunstmuseum Basel, Heptau (noted above) which houses the museum’s collection of art spanning the Renaissance through Modernism, Kunstmuseum Basel, Neubau, dedicated to special exhibitions and the display of the museum’s collection of Post-War art, and Kunstmuseum Basel, Gegenwart, designed solely for the presentation of contemporary art and special exhibitions. The Kunstmuseum, Basel, Gengenwart initially opened in 1980, making it one of the first museums solely dedicated to contemporary art in the world. Today, the museum displays the collection of the Emanuel Hoffman Foundation as well as the collection of the Kunstmuseum Basel. Highlights include works by Joseph Beuys, Bruce Nauman, Rosemarie Trockel, Jeff Wall, Elizabeth Peyton, and Matthew Barney. Kunstmuseum Basel, Gegenwart is also known for special exhibitions featuring cutting-edge contemporary art. Martha Rosler and Hito Steyerl: War Games, currently on view, features the work of Berlin-based artist, film-maker and writer Hito Steyerl. Steyerl, who topped ArtReview’s Power 100 last year, is best known for her research-heavy, narrative-led videos and installations. Here, for the first time, her work is paired with the art of Martha Rosler - an American artist who has been addressing the theme of patriarchy since the 1970s using photography, video, installation, photomontage and performance. The exhibition aims to put viewers out of their comfort zone. According to the museum, “Their works are formulations of resistance to the reduction of human beings to their value, as a source of labor and consumption, and the militarization of spheres of social life". Located on the outskirts of Basel, the Schaulager is neither a museum nor a traditional warehouse. Created to house the blue chip collection of the Emanuel Hoffmann Foundation, the Schaulager is a very unique kind of art space. Designed by architects Herzog and de Meuron, the space was built to showcase art of different mediums in an unconventional, less “museum like” setting with the aim of not just storing art but using it to conserve, research and disseminate. The collection is on view by appointment only but the massive, minimalist building also includes two floors dedicated solely to special exhibitions. Starting June 11, the Schaulager will have extended hours to coincide with Art Basel. The current special exhibition is a must for fans of Bruce Nauman’s videos, neons and sound pieces. Co-organized with the Museum of Modern Art in New York, the exhibition Bruce Nauman: Disappearing Acts presents 170 works, including his latest, Contrapposto Split, 2017 – the artist’s first foray into three-dimensional moving images. Museum Tinguely houses the world’s largest collection of art by artist Jean Tinguely, most famous for his moving, mechanical sculptures. One of the most innovative and important Swiss artists of the 20th century, Tinguely, belonged to the Parisian avant-garde in the 1950’s and 60’s where he revolutionized the traditionally static art world with his kinetic works. His art imbues the museum with a sense of vitality and wonder. The permanent exhibition presents a survey of Tinguely’s forty year career spanning from his motorized reliefs from the 1950’s to his large scale mechanical sculptures of the 1980’s. Special exhibitions build on Tinguely’s ideas to interpret the works of 20th and 21st century artists in new ways and to feature artists who are shaping contemporary art today. Located directly on the Rhine, the beautiful museum building by Swiss architect Mario Botta is a work of art in itself. 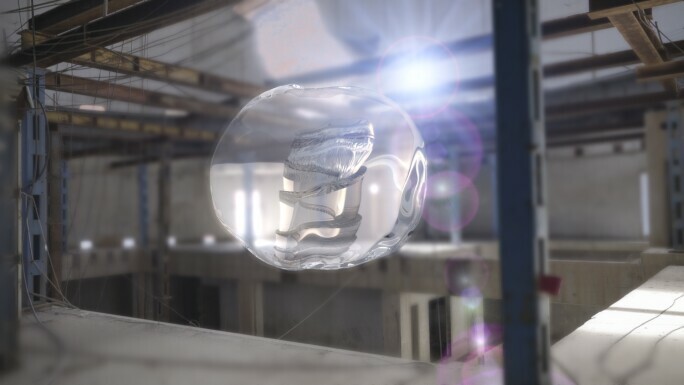 Too Early to Panic, currently on view at Museum Tinguely, presents kinetic art through an environmental lens. Swiss artists Gerda Steiner and Jörg Lenzlinger, known for their installations resembling botanical gardens gone haywire, manipulate Mother Nature (and your head) using plants rather than machine parts. 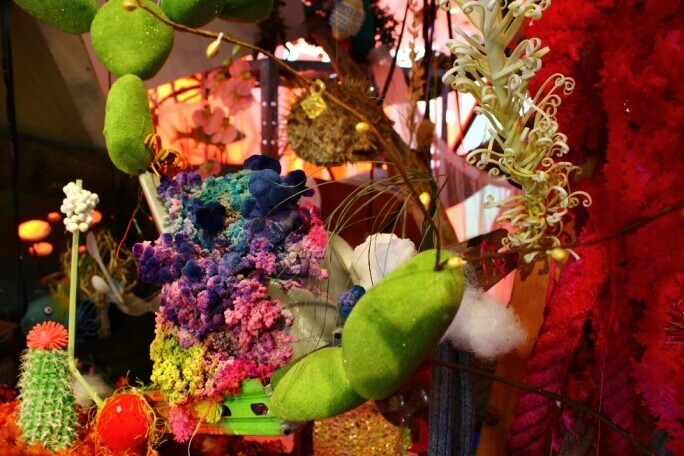 Rampantly invasive species, plus unexpected materials such as “fingernails, hairy plastic, collected tears, fat eggs and synthetic fertilizer crystals” are heavily featured in this interactive exhibition to create a dialogue between nature and artificiality. Fondation Beyeler is the most visited museum in Switzerland and it's easy to see why. Situated in an idyllic park outside of the city, the museum was designed by award-winning architect Renzo Piano. The graceful building blends seamlessly with the landscape and offers views of its surroundings throughout the galleries so that each visitor experiences art and nature together. The museum boasts an incomparable collection of over 200 works of Post-Impressionist, Modern, and Contemporary art including masterpieces by Monet, Picasso, Klee, Matisse, Warhol, and Richter as well as pieces of ethnographic art from Africa, Oceania, and Alaska. In addition to the permanent collection, which is re-hung several times a year, Fodation Beyeler also mounts exciting temporary exhibitions. A pilgrimage to Fondation Beyeler has become an essential part of the Art Basel experience. This year, you won't want to miss it. Bacon-Giacometti is one of the most buzzed about exhibitions of the season. 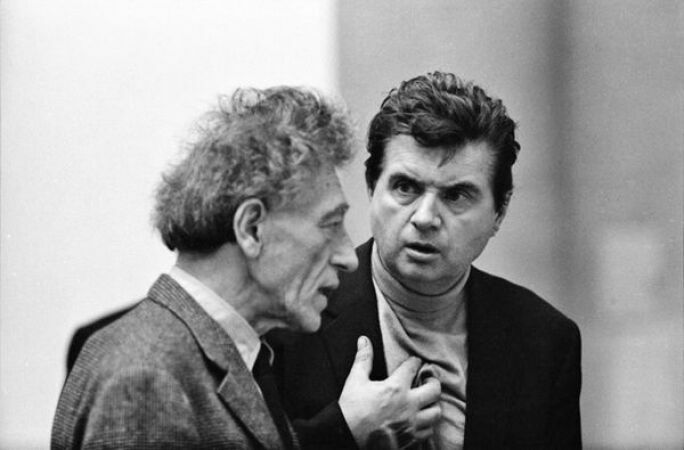 Few museums could secure the loans to mount an exhibition of around 100 works aiming to reveal the “commonalities and amazing parallels” between Francis Bacon and Alberto Giacometti, but the Beyeler is the exception to the rule. Co-curated by Catherine Grenier, director of the Fondation Giacometti in Paris, the show includes plaster sculptures from the artist’s estate never before shown in public.